All good things must come to an end (do they?). We are still in Paleohora and will soon start driving back to Heraklio. The drive should take about three hours but the first part is mountainous so better leave early. The flight for Paris leaves late tonight but we are hoping to stop somewhere for some swim. The weather in Paris is appalling I hear and read. But it is not only the weather… I will miss rosemary snails, lamb with aubergine puree, sfakio pie with honey, fennel pie, staka cheese (fondue type) etc. Feta won’t be the same in Paris. Tomatoes won’t taste as if they have soaked in the sun. Even olive oil has a different color here. And there is no homemade honey raki in France! Furthermore, what I have appreciated in Crete is their use of herbs. I will have to stop in the villages to find some to take home. Apparently their oregano (“Oregano-Dittany of Crete”) is particularly tasty and healthy. In fact, it is so renowned for its healing powers that it is widely available for purchase on internet. 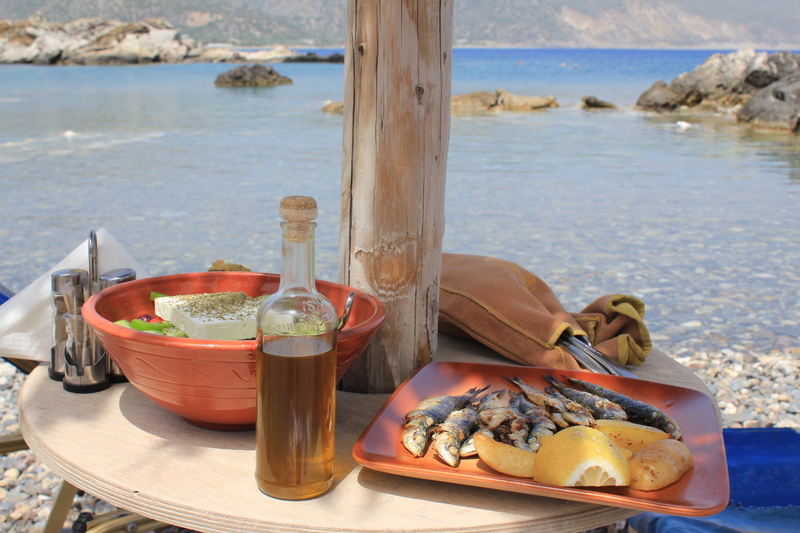 This entry was posted in Uncategorized and tagged Crete, food, Greece on May 22, 2013 by Miia.